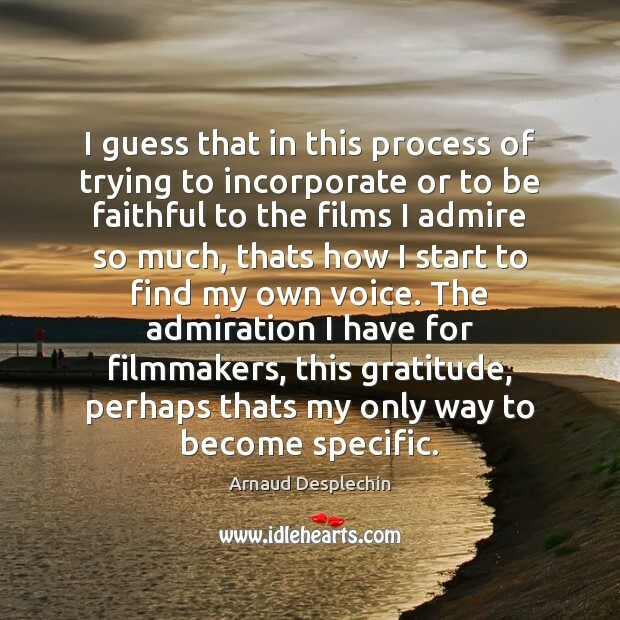 Enjoy the best inspirational, motivational, positive, funny and famous quotes by Arnaud Desplechin. Use words and picture quotations to push forward and inspire you keep going in life! I guess that in this process of trying to incorporate or to be faithful to the films I admire so much, thats how I start to find my own voice. The admiration I have for filmmakers, this gratitude, perhaps thats my only way to become specific. 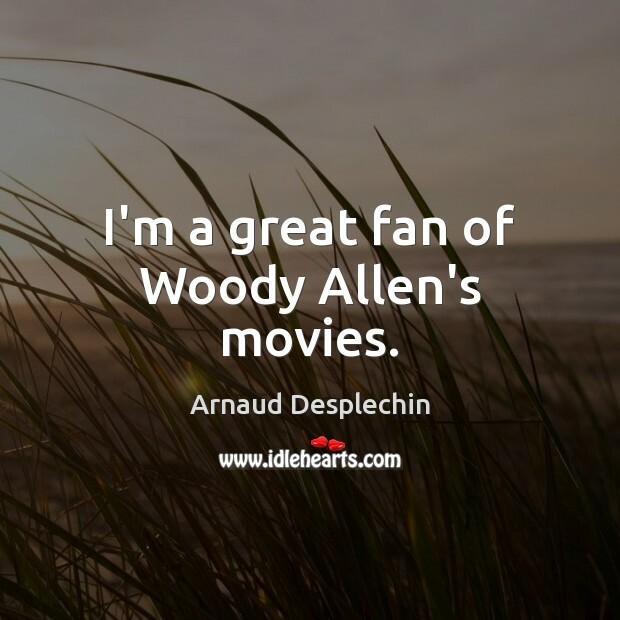 I'm a great fan of Woody Allen's movies. I think one of the most important American films is Jackie Brown, which is such a humble depiction of humble characters but so powerful. 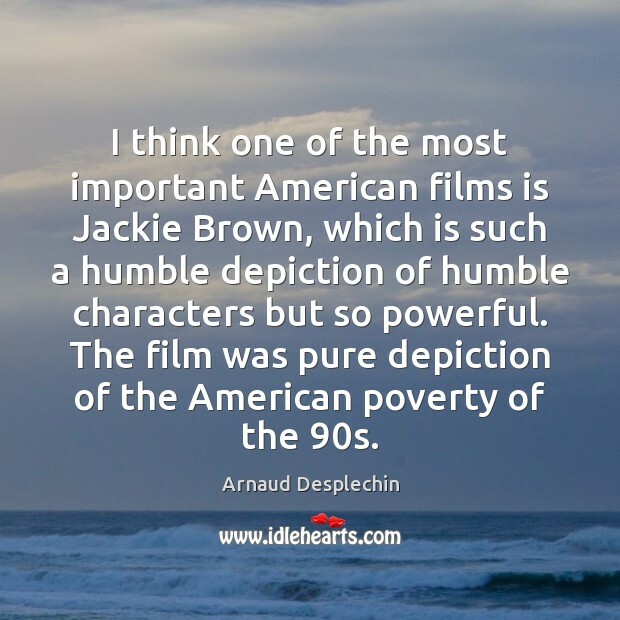 The film was pure depiction of the American poverty of the 90s. 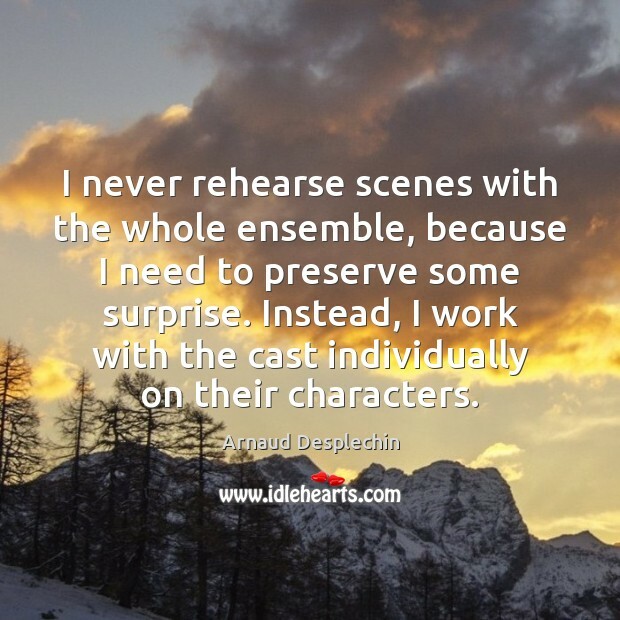 I never rehearse scenes with the whole ensemble, because I need to preserve some surprise. Instead, I work with the cast individually on their characters.